1. To be honest, the film was much better (more informative and thought generating) than I expected. I though the bulk of the film would be showing teachers complaining about how hard teaching is. During the screening, I understood why did I have that expectation – because lots of the news have been portraying teachers as constantly complaining, refusing innovations, defending the status quo. I was wrong in my expectations. 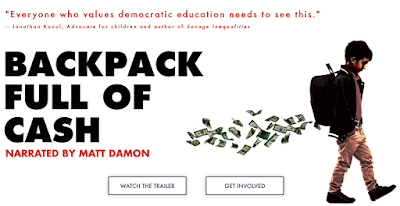 I strongly recommend to watch this film, no matter if you are a proponent or an opponent of charter schools, vouchers, or regular public schools. 2. I am for public education. For me it is not just about human rights, it is more. Destroying public education puts at risk the intellectual health of the Country, greatly lowers the competitiveness, makes the Country dependent upon the constant import of the intellectuals (like it was when the U.S. was addicted to the imported oil: http://www.GoMars.xyz/BD.html). I follow the old-fashioned pragmatism. We need public education today because of the same reasons the Country needed it when it was created – for having the best human capital in the world (https://en.wikipedia.org/wiki/Human_capital). 3. But we need GOOD public education. How do we know it is NOT yet? There is a simple test for that. Ask people on the streets: “Would you be OK if your kids were assigned to go to a randomly selected public school?” (from any school, from across the state – assuming no transportation issues). When 95 % people will say “Yes”, then public education will be 100 % GOOD. 4. 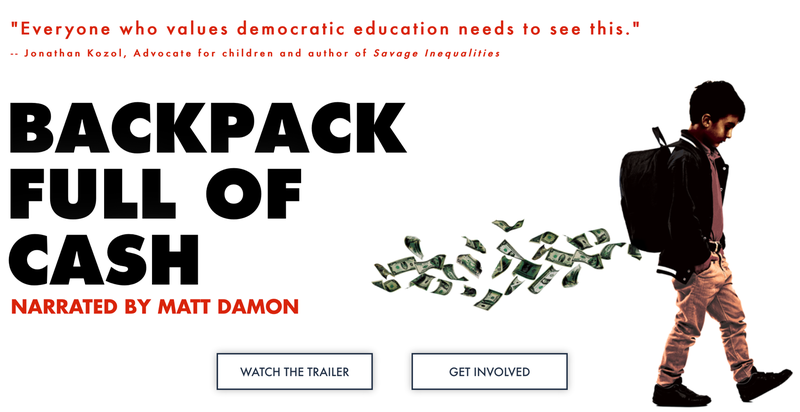 The film portrays public education as being under attack. According to the film, the reasons for the attack are: (1) commercialization of education (using schools for making money); (2) religionization of education (using tax payers’ money for religious schools). However, the film does not say that those attacks have become available and have been successful because the proponents have had and still have a very simple and clear line of attack on public education: “Public education does NOT work!”. 5. The film provides some data which are positive for public schools: (1) test results are up; (2) graduation numbers are up. But the opponents could say (1) tests have become easier; (2) graduation requirements have become less restrictive. The conversation goes into “he said – she said” mode. The film offers many emotional moments for public education. But the opponents can (and already have, and will have again) make a movie equally emotional to support their point (http://www.oprah.com/oprahshow/the-shocking-state-of-our-schools). The true issue is that there are NO solid data on the matter (http://www.GoMars.xyz/cs.htm). Without commonly accepted data, public and political decisions may be made on the basis – who screams louder. I, for once, would like to know two numbers; (1) what percentage of students had access to high quality education before creation of charter schools in a given state; (2) what percentage of students have access to high quality education after creation of charter schools in that state. Also, what specifically does “high quality education” mean? I am sure that almost every grownup can say that he or she had a good teacher in their past. But there is no such official title as a “good teacher”, instead there is a title a “highly qualified teacher”. In fact, about 94 % of the Massachusetts school teachers are officially “highly qualified” (i.e. “exemplary” or “proficient”: http://profiles.doe.mass.edu/statereport/educatorevaluationperformance.aspx; or http://www.doe.mass.edu/infoservices/reports/edeval/). There is, however, one questions I ask myself every time when I teach an elementary physics course: “How come that so many students, up to a quarter or sometimes even a third of the course, who supposedly came from highly qualified teachers, struggle with simple algebra, have a short attention span, demonstrate feeble reasoning abilities?” And the most of the students in my courses are white, hence came supposedly from relatively strong districts. 6. The film shows Bill Gates, Oprah Winfrey and other philanthropists giving money to charter schools (http://www.oprah.com/oprahshow/6-groundbreaking-charter-schools). The film does NOT address the reason – why do they do that? I am sure that they, and many other business people, truly believe that public education does not work. And for this conversation it does not matter if they are right or wrong about that. What matters is that the proponents of public education have no strong strategy to counterattack that perception! Many business leaders are upset with the quality of workforce they have to hire (for example, see the recent report for Massachusetts Business Roundtable: http://www.mbae.org/wp-content/uploads/2016/11/FINAL-Report-2016-MBAE-Employer-Poll-for-web.pdf). For me it is very clear, that the broad support of the idea of charter schools does not stem from the wish to destroy public education; it stems from the positive appeal provided by charter school proponents. Charter school proponents come to businesses and talk to them using their language: “You know public schools do not work for you. Give as money – we will run the schools as good as you run your business, and we will give you the results you want!”. If you were a business owner searching for good workers, who would you turn to? Finally, speaking about Bill Gates and other billionaires trying to reform education; the biggest problem they have (among many other) is how other people perceive them. For many people Bill Gates (for example) is (a) a guru and they take his every word without any doubt; or (b) a nice-to-hangout-with-celebrity; or (c) simple a "cash cow" who is "always right" as long as he gives money. I would like to ask Mr. Gates, how many times since his installation of his foundation, after giving a speech he would heard back: "No, that's not gonna work"? (an example of a conversation with a tech mogul). 7. 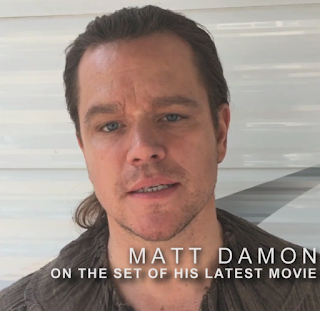 The film revolves around money. (A) Regular public schools lose money to charter schools and voucher schools. (B) Charter and voucher schools do not serve a large population of students. (C) For a large portion of students they serve, charter and voucher schools do not provide education better than regular public schools. (D) Losing money leads to significant strain put on regular public schools, which, in turn, leads to lowering the quality of education. In short, regular public schools experience insufficient funding and charter schools and voucher schools make the situation much worse by taking money away from public education. The conclusion: vouchers should not be used for religious schools, and charter schools have to be stripped off public funds. How do public school proponents fight back? So far, this line of defense has been successful to curb the growth of the number of charter schools (at least in MA). But if the overall quality of public education will remain at the current level, the reason for attacking public education will remain in place. As a physics teacher, I know that a pendulum always swings back. Public opinion is such a pendulum. So far it is generally on the side of public education. But, if public schools proponents will not offer a constructive, positive approach to advancing the overall quality of public education, they may lose the battle for public support (in a 90-minute film there was only one short positive example of a good work done by public schools; it feels sometimes like in a public sector good teaching is a rare exception; but if it was true, was public education even reparable?). Insufficient funding is a real problem. But there is another, hidden, problem, which has not been discussed in the film – it is an ineffective funding. Many countries in the world spend less per a student, and yet their students beat American students in math and science (https://www.cbsnews.com/news/us-education-spending-tops-global-list-study-shows/). As I often say to my students, let us use the unique and the most powerful and most important human faculty – imagination. Let’s imagine that tomorrow all public funds would remain only for the use by regular public schools. What would they – schools – do differently? How would this be different from the time twenty years ago, when no charter or voucher schools existed? What would public schools do to show that there is NO need for charter or voucher schools at all? And the film does not answer them, too. The film does not even mention these questions (maybe, it is left for the next film). 8. Proponents of public education, teachers, and first of all teacher unions have to make a transition from defending having good education as a general right, to proposing specific pathways for providing good public education for all. If you have read up to this place in the post, you may think that I am against charter schools or vouchers. I am against ineffective use of public funds. And I believe that proponents of public education, teachers, and teacher unions also have to be against it. That would not mean banning vouchers. That would mean banning any school which uses public money from using vouchers for religious purpose. That would not mean banning charter schools. That would mean banning any school which uses public money from being removed from the state accountability system (no matter how good or bad that system would be). I believe that there is a simple basic principle which should govern funding and managing policies in education: “Public funds = public rules”. I understand what “publicly funded” means”; it means they use money coming from collecting taxes. But the meaning of “privately run” depends on what legislative bodies make it to mean. If you watch the film very closely, you see, that the real issue is not the money. The real issue is the rules. By some reason, which completely escapes me, someone (who may have been afraid that charter schools would not show good performance) some time ago made a claim that “money” = “rules. And all people said: “OK”. And since then charter schools and regular schools have been treated by different rules. “They have to be privately run”. Well, I know a whole – huge – industry which is also privately run, but follows very broad set of very strict rules. I do not know a single federally or state run restaurant. And yet, any day, any time a government agent – a health inspector – can enter the premises, check everything, and even close it. How about auto industry which must follow regulations on safety, gas emissions? How about aviation, cruse traveling, hotels and hospitality, hospitals and clinics? There is NO direct connection between “money” and “rules”. That type of connection is placed by people (by people who write the rules, and by people who vote). If the current set of rules does not work for the good of the public, people need to and can change it. I believe, that the first target, which all proponents of public education, teachers, and teacher unions should aim at, is executing one (the same) accountability system for all types of schools – as long as they use public funds. The next target is the state accountability system. They would take co-ownership in developing, installing, executing, and advancing the state accountability system, making it cheaper, more efficient, and more informative. But the most important goal for all proponents of public education, teachers, and teacher unions should be the quality of teacher corps. Who knows, maybe some time in the distant future, robots will teach better than people (at least, some rich tech entrepreneurs see it that way). But until then, the quality of education is defined by the quality of teacher corps. In this area, there is at least one thing teacher unions can start doing relatively quickly, and at the same time, start changing the game in the field of teacher professional development. The unions need to develop and put in place a web-based mechanism for systematic collection from teachers the information about various teacher professional development events they attended, sharing that information, and ranking the events based on the quality and usefulness of the events (immediately after the event, and later on, during the school year). About a year ago I sent to the Massachusetts Department of Education a specific proposal related to the structure of such a mechanism. It's actually would not be too complicated to do. First of all, every PDP provider would have been assigned an ID, and then teachers could have been leaving their systematized feedback on each PDP provider, and teachers could have search providers based on feedback and overall ranking. In the following phone call I was told that at the time the Department had no plans on study and ranking hundreds of teacher professional development providers (teaching needs accountability, but teaching teachers doesn’t?). There is an old Russian joke: “Saving someone who is drowning is the duty of the one who is drowning” (it is funnier in Russian). In this case it means, if teachers want to be better prepared for their job (to be more successful, and to take away from the opponents the reason for an attack), they need to start forming the professional development system in the way it will really work for them. 9. The biggest obstacle for advancing public education is not the insufficient funding, it is not the ineffective funding, it is even not the indifferent system of teacher professional development. The biggest obstacle is the current state of the discussion of the state of public education, which is stuck in a wrong mode (that includes the film: http://www.GoMars.xyz/np.htm). Framing the problem of the quality of public education as a “charter schools v. traditional schools” confrontation does not help for finding the solution. This type of framing is based on the trivial model for describing social progress, including in education, as a confrontation between “free market” and “public good”. However, currently this conversation consumes 99 % of people and energy. The working model should not treat “free market” and “public good” as mutually exclusive, but rather as cooperative entities. I have gradually arrived to a vision that the old model of reforming education does not work, but the new model does not exist yet; the new model is the work in the progress and is being developed along the way, on the go. The screening of the film helped me to crystallize some of my views on public education and how to go about making it better. To reform public education, first we need to reform the way we reform it. We have to make a transition from the confrontation to consideration, to cooperation, collaboration, and to public education rejuvenation. 10. Teachers in the form of teacher unions have been fighting on many fronts. Probably, the strongest opposition comes from the world of big business. The way education system is managed and funded is defined by policies placed in place by policymakers. We know that. We also know that many policymakers are businessmen or influenced by those. Unfortunately, there has been a long history of distrust between business community and teacher unions (good reading: “The Teacher Wars” by Dana Goldstein, http://www.danagoldstein.com/thebook). Many business leaders remember a disastrous attempt by Mark Zuckerberg to change education in one city (Newark, NJ). He added his own $100,000,000.00 to another hundred million dollars which came from other sources, and all that money had essentially been lost (another good read: “The Prize” by Dale Russakoff http://dalerussakoff.com/). Many blamed the unions for not cooperating; the unions blamed the “reformers” for ignoring them. However, without trying to bridge the differences and avoiding bringing business leaders to the conversation table, efforts for reforming education will be stuck in the fighting mode. Physics taught me that when two very strong forces act in opposite directions, the result is usually close to zero; the forces just cancel each other out. Another pressure on teachers comes from the field of higher education. One would think that since college and university faculty are teachers, too, they would be mostly siding with teacher unions. But, why would they? What stake do they have in supporting teachers? Not many of them have children going into an inner city public school. On the other hand, many of them are invited and hired by policymakers, think-tanks, publishing companies, to helping with devising policies, materials, and procedures for assessing teachers’ work. So, I know that this joke does not sound funny in English, but, speaking about teacher unions, it feels appropriate to say again: “Saving someone who is drowning is the duty of the one who is drowning”. (1) A huge thank to you – for everything. (2) In “Promised Land” John Krasinski’s character taught schoolers about the environment. Your passion is clean water. But you also care about education. Maybe you would put them together? For example, maybe you could produce and develop a short video about water, its value and importance, about the work your charity does, and follow it with a guide for teachers, with topics to discuss, questions, even assignments, to fill one or two full lessons teachers could include in their science curriculum (of course, if you have not done it yet already)? Today they are children, but tomorrow they will govern the world. (3) The last thing I want to say might sound wrong, but I will say it anyway. I would say, no longer than 20 minutes. It could be called “the highlights of the movie”, “the condensed version”, “the elevator speech version”, or else. And it has to be free for download. I am sure that 99 % of the audience came to the screening with already formed opinion, so people did not need to watch the film to make their mind. If the ultimate goal of the film is to make people who have not given serious thoughts about the topics raised in the film, starting to think about those topics, the authors need to make the film watchable over a short lunch. Hopefully, after watching “the elevator speech version”, people would dive into a discussion, and, maybe later, they would watch the full version. I would think that having a wide audience is more important than having a friendly audience. I am not a bystander. I am an experienced educator. My #1 credential is the words of my students. Most of my student feedback is good. But some is great, even exceptional (simply because I know and love what I do). And I think that matters (check this link www.GoMars.xyz/evvv.html). My #2 credential is my experience. I have been in the “trenches” for more than twenty years, teaching algebra, geometry, trigonometry, calculus, logic, problem solving, and lately mostly physics (http://gomars.xyz/phy.html). The spectrum of my students spans from 5th - graders, all the way through middle and high school students, to college and university students, students with learning disabilities, and teachers. I also have professional experience in the field of teacher professional development, done some writing and consulting (a short, and a full version of my resume: www.GoMars.xyz/vv.htm). My professional experience has led to formation of unorthodox views on teaching, teacher professional development, management in education. As you can see from this publication, things I believe in are often perpendicular (but not opposite) to many mainstream ideas. Please, feel free to reach out to me if you have any questions, suggestions, ideas.